Green Bay, WI – The Great Lakes Region (GLR) Powered Flight Academy was held at Wittman Field in Oshkosh the week of June 10-19. This National Flight Academy is a rigorous flight instruction academy that takes Cadets through approximately 12 hours of ground school instruction with the goal of Cadets being able to solo in a Civil Air Patrol (CAP) Cessna 172 at the end of the week. Green Bay native, Andrew Peroutka, a member of the Fox Cities Composite Squadron – Civil Air Patrol, was one of fifteen Cadets that were selected to attend this academy. 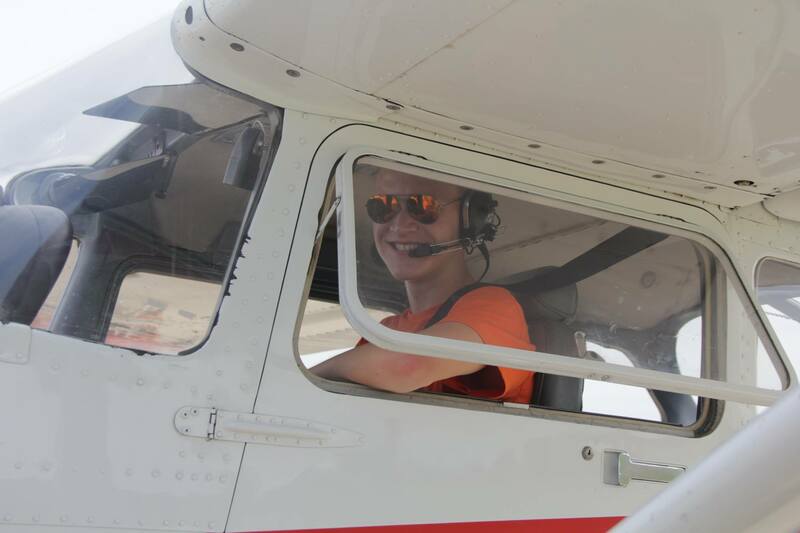 Peroutka along with fellow CAP Cadets spent approximately 5-6 hours per day observing or flying a Cessna 172 over the skies of Oshkosh and the Fox Cities. Cadets practiced multiple take-offs, landings, patterns, and radio operations all with the end goal of being able to solo (or pre-solo). Peroutka mentioned that, “the ground classes and days were long and you got a lot of information at once.” He was able to complete his solo on Friday afternoon, being one of the Cadets that required the fewest hours to be ready. Wisconsin Wing Civil Air Patrol had seven aircraft that were made available for this week-long learning experience. Civil Air Patrol flight instructors volunteer their time to these flight academies, with approximately eight flight academies held throughout the United States. Cadets participating in the GLR Flight academy range in age from 16-19 and came from as far away as Puerto Rico, Alaska, and California. With other Cadets coming from Utah, New Jersey, and Oklahoma. Three Cadets, including Peroutka were from Wisconsin. Since 1942, the volunteer members of Fox Cities Composite Squadron – Civil Air Patrol has been committed to advancing all of our members within our program offering training opportunities including; disaster relief, search and rescue, model rocketry, Cadet leadership, and aerospace/STEM (Science, Technology, Engineering Mathematics) classes. For more information regarding Fox Cities Composite Squadron please feel free to visit our website at: www.foxcitiescap.org or you can find us on Facebook at: https://www.facebook.com/Fox-Cities-Composite-Squadron-121698567919154/. We welcome anyone with interest to visit any of our meetings which are held Tuesday evenings from 7:00pm-9:00pm.